The NYPD said 66-year-old Timothy Caughman was stabbed near the intersection of West 36th Street and Ninth Avenue in Midtown Manhattan on Monday, March 20, 2017. 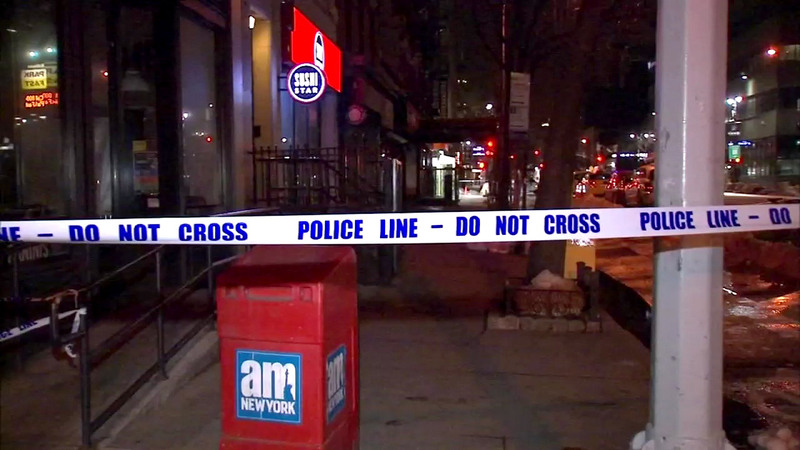 MIDTOWN, Manhattan (WABC) -- A 66-year-old man died after he was stabbed at a Midtown intersection, then stumbled to the nearby police precinct for help. 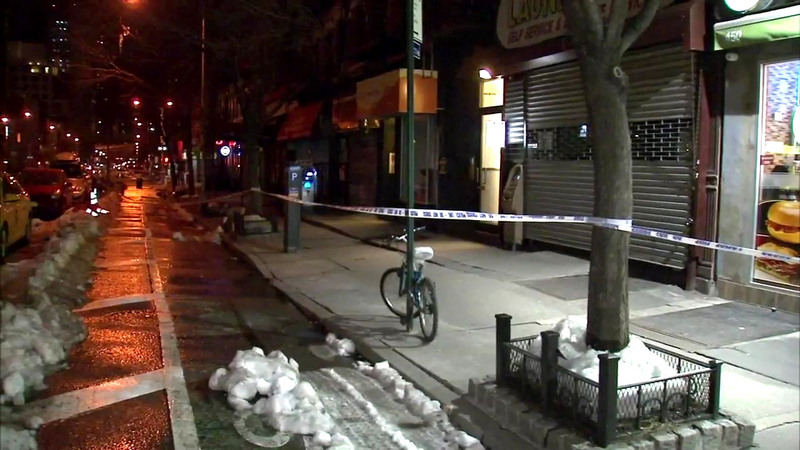 The victim was stabbed in the chest and back at Ninth Avenue and West 36th Street just before 11:30 p.m. Monday. Bleeding, he walked around the corner to the Midtown South Precinct for help, according to the New York City Police Department. He was able to get to the front desk and tell officers the identity of his attacker before he collapsed. The victim was rushed to Bellevue Hospital, where he was pronounced dead around 1 a.m.
Police extended a crime scene from the precinct around the corner to where he was stabbed. They also recovered surveillance video that is believed to show the fatal stabbing.